Glenridding is a small village at the southern end of Ullswater Lake, close to the foot of Kirkstone Pass. Today Glenridding is predominantly a tourist destination for outdoor enthusiasts including walking and water sports upon the lake. The village came to prominence with the discovery of lead ore in the 1650’s at what became the Greenside lead mine, with the first levels being driven by Dutch adventures in the 1690’s. Dressed ore was carried to the Stoneycroft smelter at Keswick. The mine was not extensively worked until 1825 with power originally provided by water-wheels, with water being supplied by the damming of the nearby tarns. 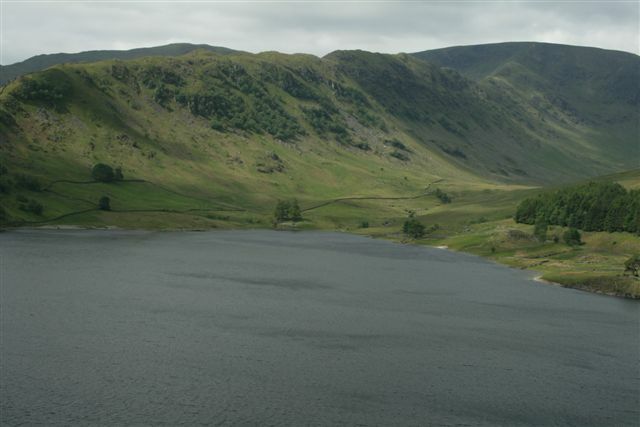 One such tarn was Keppel Cove , which bust its banks in 1927, bringing disaster to the village of Glenridding below. Much the same happened four years later, when flood waters smashed through the concrete of High Dam. By the 1960’s it had become uneconomical to continue mining lead from the mine, and it closed. 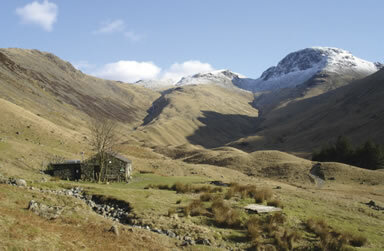 Today only a few buildings remain and serve as Lake District Hostels and mountain huts. 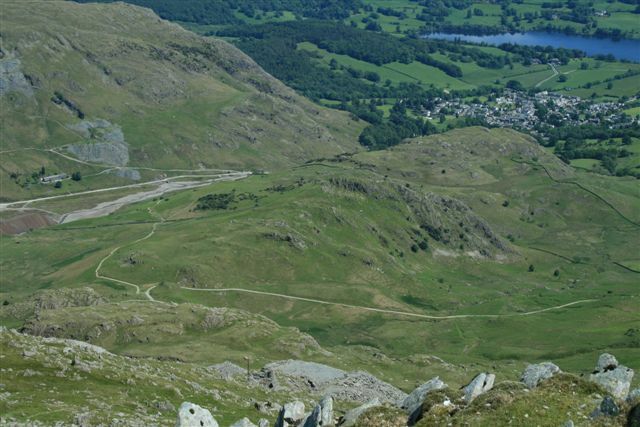 With the lead mining industry now gone, the area of Glenridding is mainly farming and for the tourists who come to view one of the most beautiful areas within the Lake District National Park. 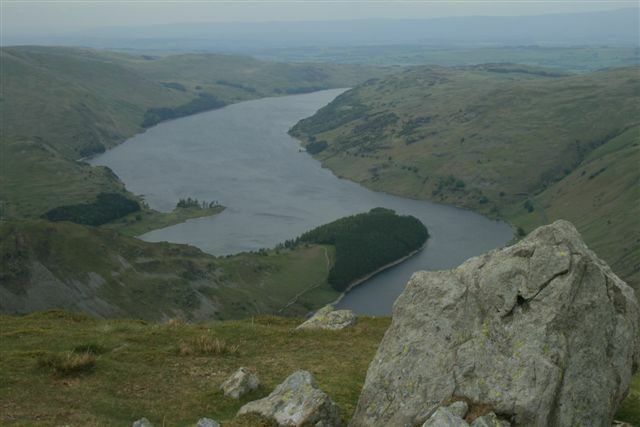 I would say that the area is possibly one of the most popular with walkers with many walks to suit all levels from easy, such as Ullswater Lake walks which takes you around the shores of the lake from Howtown back to Glenridding. 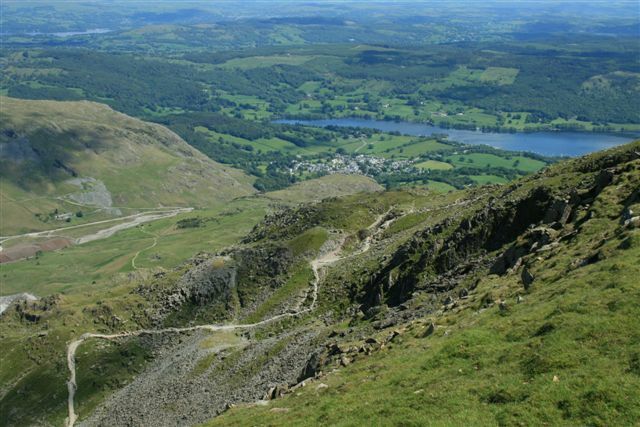 For the more adventurous walkers one reason to visit Glenridding is to do the classic Helvellyn via Striding Edge, although this is not a walk for the faint hearted, more a modern day adventure, with Helvellyn reaching a height of 3,116 ft (950m). 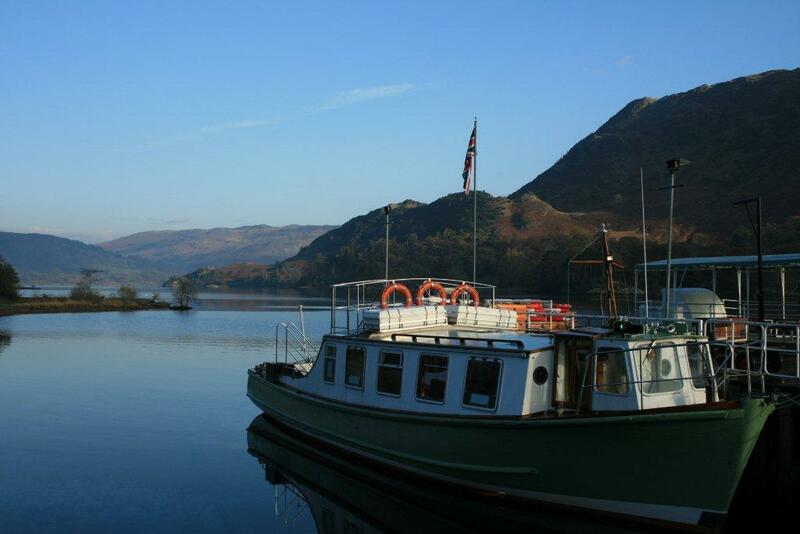 The Ullswater Steamer is a great way to enjoy a different perspective of the lake and the Lakeland scenery as you cruise along the 7.5 miles of Ullswater Lake at a leisurely pace. You could easily combine a walk and a lake cruise on one of the steamers. 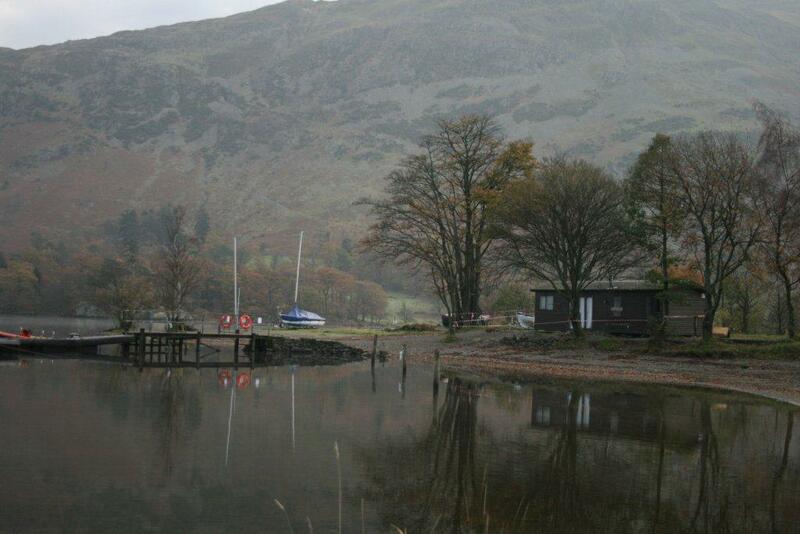 You can board the steamers at Glenridding, Howtown or at the northern end of Ullswater at Pooley Bridge. One of my personal favourites includes Aira Force waterfall walk where you will see a spectacular 60ft waterfall as Aira Beck makes its way down from the fells above to Ullswater. There are bridges top and bottom of the waterfall to view from with a National Trust car park on the lake road. The closest village to Glenridding is the small village of Patterdale, another popular area for walkers to Helvellyn and the surrounding area of fells such as High Street. 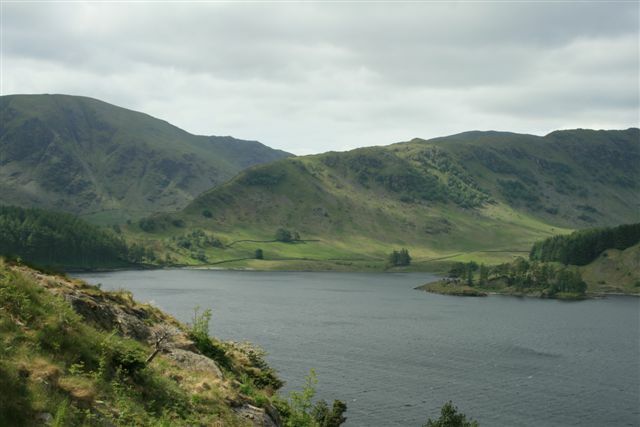 The village of Glenridding has good accommodation including two Youth Hostels, good camping sites and hotels. There are several guest houses offering bed and breakfast which make an ideal base for any outdoor activity holiday. 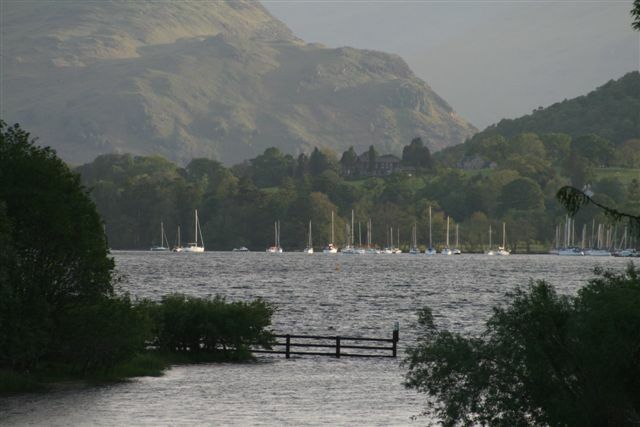 Probably the easiest way to learn more about sailing and get yourself afloat on Ullswater and enjoy the stunning scenery of the English Lake District is to visit the Glenridding Sailing Centre. The centre provides a wide range of sailing dinghies and traditional canoes and kayaks. The Glenridding Sailing Centre offers expert sailing tuition by friendly, patient RYA qualified staff in their boats or even your own boat if it’s suitable. Should you wish to see better quality photographs of Glenridding please visit Glenridding on our Lake District Walks Flickr account. If you are looking for a great location to stay during your next Lake District outdoor adventure ,then I think Glenridding may have everything you need.There is an abundance of holiday accommodation within Glenridding and the surrounding area of Patterdale, with Campsites, Guest Houses and local pubs. 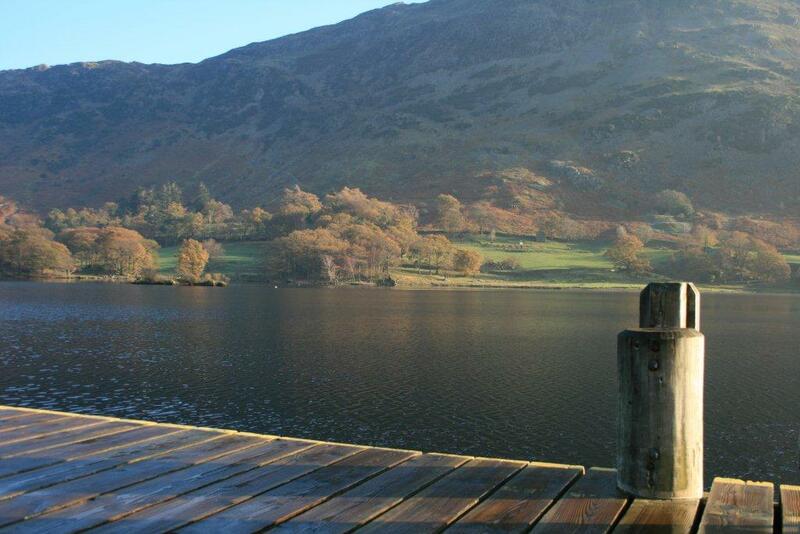 For a pet friendly home search our Lake District Cottages for a local cottage close to Glenridding and Patterdale. 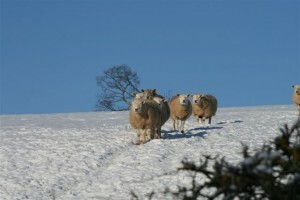 Whilst not forgetting the areas close proximity to Helvellyn and some fantastic fell walks. Whatever time of year you visit Glenridding and the Ullswater area you will find a friendly place to stay with some of the best scenery in the world. 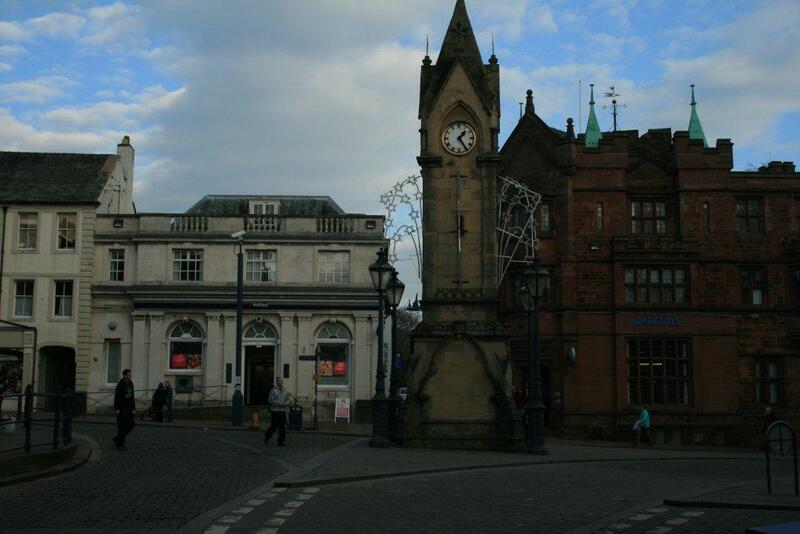 Just outside the National Park ,yet still in the Lake District, lies Penrith ,a regional centre of the Northern Lakes. In Roman times this historic market town at Junction 40 off the M6 was strategically positioned to and from Scotland and used as a military centre. 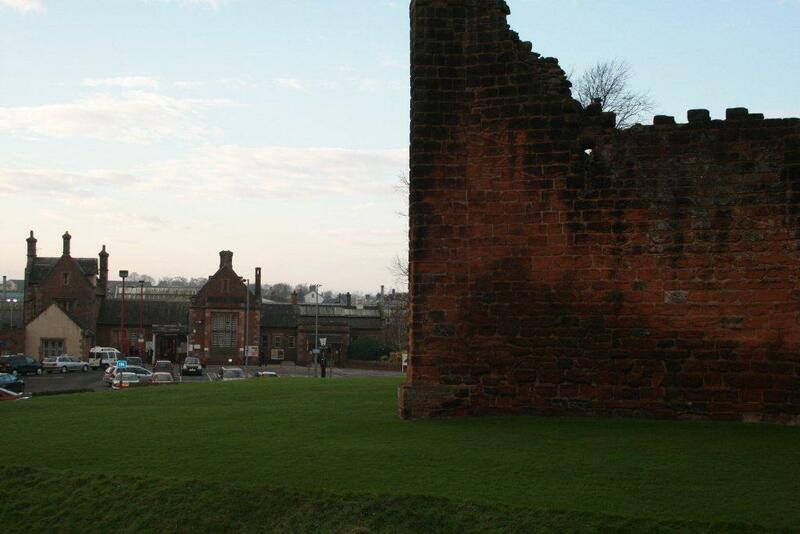 The imposing ruins of Penrith Castle, which is situated opposite the centrally located train station, has a very intriguing history. 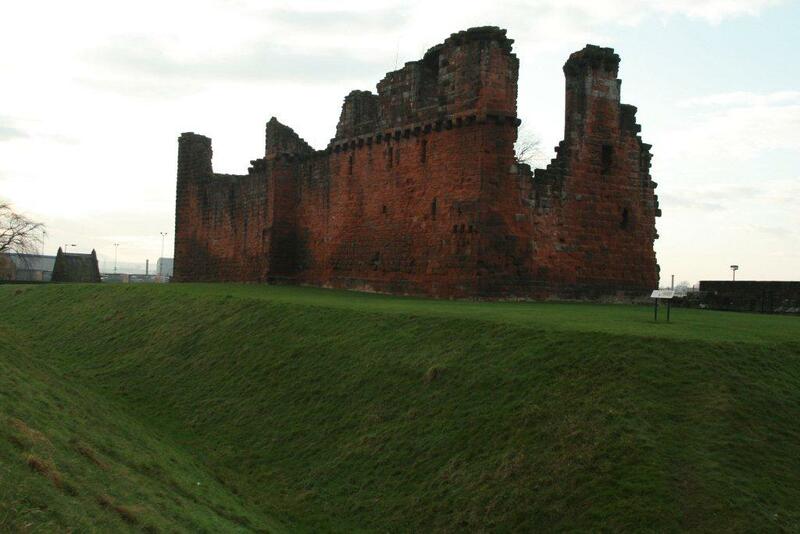 The building of the castle began in 1399.William Strickland, Bishop of Carlisle and later Archbishop of Canterbury, added a stone wall to an earlier peel tower, primarily as a defence against the Scottish raids. Over the next 70 years the castle saw many changes, until 1483, when it was turned into a royal fortress by Richard, Duke of Gloucester before he became King Richard the Third. 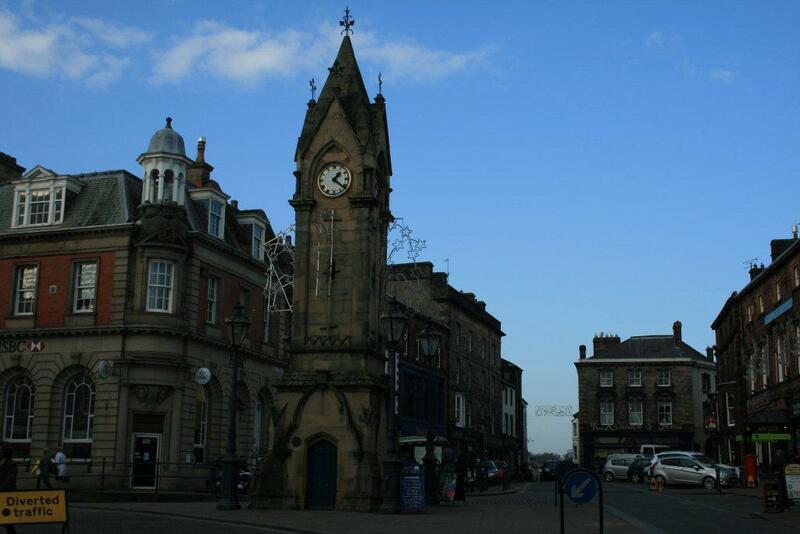 The centre of Penrith is dominated by the Clock Tower and St Andrews Church, with a church having stood on this site since 1133 and the present church being built in 1720. It was designed by Nicholas Hawksmoor, a pupil of Christopher Wren, in an imposing Grecian style, and modelled on St Andrews Holborn. The remains of the 13th Century tower are incorporated in the existing church, and have walls 6 feet thick which may have been used as a peel tower. 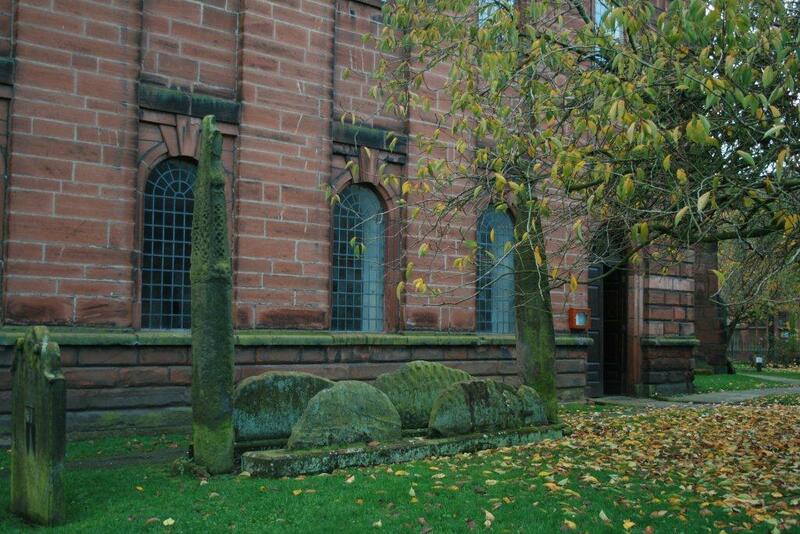 A legendary giant and King of all Cumbria, is said to be buried in the Giant’s Grave in St Andrews Churchyard. The four hogback stones surrounding the grave are said to represent wild boar he killed in nearby Inglewood Forest. Whilst also of interest at the not too distant church of Dacre, near Pooley Bridge with their famous stone carved figures of the ‘Dacre Bears’ which are situated within the churchyard at each corner. 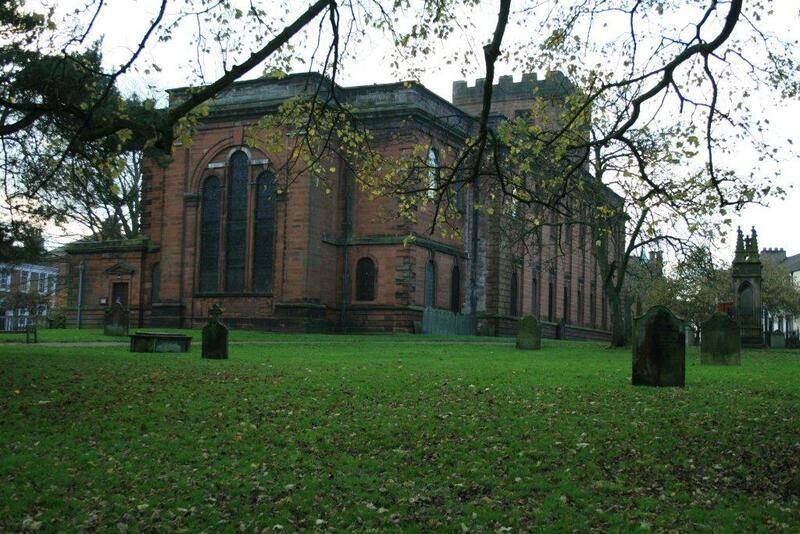 William and his sister Dorothy Wordsworth, and later to be his wife Mary Hutchinson attended the Dame Anne Birkett School, which overlooks the churchyard of St Andrew’s Church. To the south of Penrith are the ancient Neolithic henge sites known as Mayburgh Henge and King Arthur’s Round Table. Mayburgh Henge is much better preserved than neighbouring King Arthur’s Round Table. Some 14 miles from Penrith just off the main A66 from Penrith to Keswick lies the large and impressive Castlerigg Stone Circle. Of all the Neolithic sites Castlerigg is perhaps the most atmospheric and dramatically sited of all British stone circles and my personal favourite.It’s totally surrounded with panoramic views of the Lakeland fells, with Helvellyn and High Seat as a Backdrop. Situated a short distance from the town of Penrith is Rheged visitors’ centre, offering a varied array of year round exhibitions, Lake District topics of interest and a play area for children. The Penrith Agricultural Society was formed in 1833 with the society promoting the first ‘Penrith Show’ the following year. Whilst retaining the tradition of a genuine agricultural and farming emphasis, the show has gathered great momentum in recent years. Worthy of a mention as a great day out, with the rural and urban communities coming together for a special day of competitions in a wide spectrum of classes for farm livestock, arable, horses, rabbits, poultry, show jumping, industrial and horticultural. Penrith also offers a great leisure centre and Penrith skate park for the kids which is within easy walking distance of the town centre, should you wish to leave the kids to go swimming or use any of the other facilities offered. Accommodation is plentiful in Penrith and surrounding area from hotels to locally run guest houses all catering for walking and outdoor activities in the Lake District. Should you wish to see better quality photographs of Penrith please visit Penrith on our Lake District Walks Flickr account. There is an abundance of holiday accommodation within Penrith and the surrounding area of the Eden Valley, with Campsites, Guest Houses and local pubs. For a pet friendly home search our Lake District Cottages for a local cottage close to Penrith and the Eden Valley. 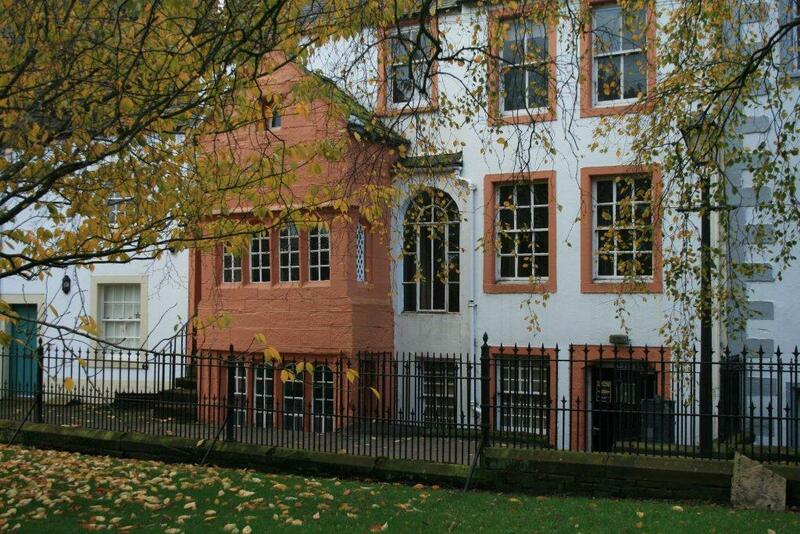 Whatever time of year you visit Penrith you will find a friendly place to stay. Pooley Bridge is situated at the northern end of Ullswater Lake upon the banks of the river Eamont and today it is a busy village catering mainly for the tourist trade. 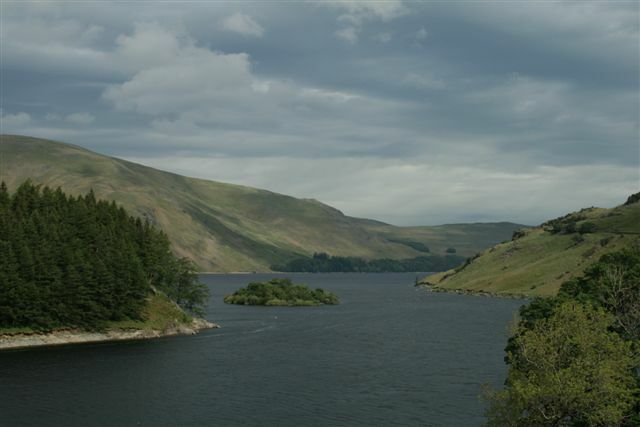 Pooley Bridge can easily be accessed via junction 40 off the M6 motorway, whilst also offering a great gateway to the north Lake District and the main artery A66 road to Keswick and Derwent Water. 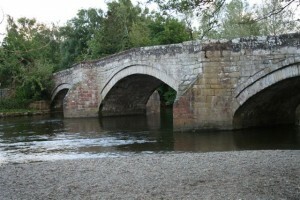 The name Pooley Bridge derives from a large pool in the River Eamont, “The Hill by the Pool”. The ‘Bridge’ part of the name was added in 1800. 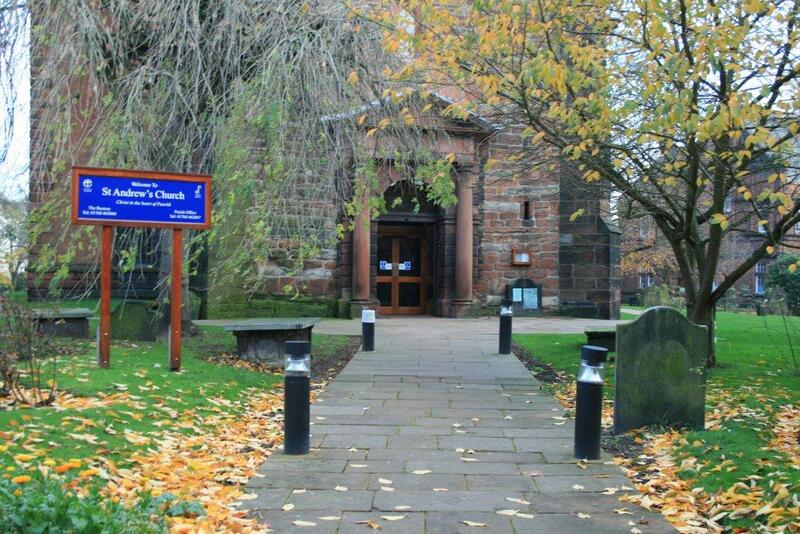 The local parish church of St Paul can be found at the centre of the village and dates from around 1868. There are 3 public houses situated within the village community of Pooley Bridge. The 16th century bridge was built across the River Eamont, which flows from Ullswater Lake to the village of Eamont Bridge, and on to the River Eden, near Langwathby. 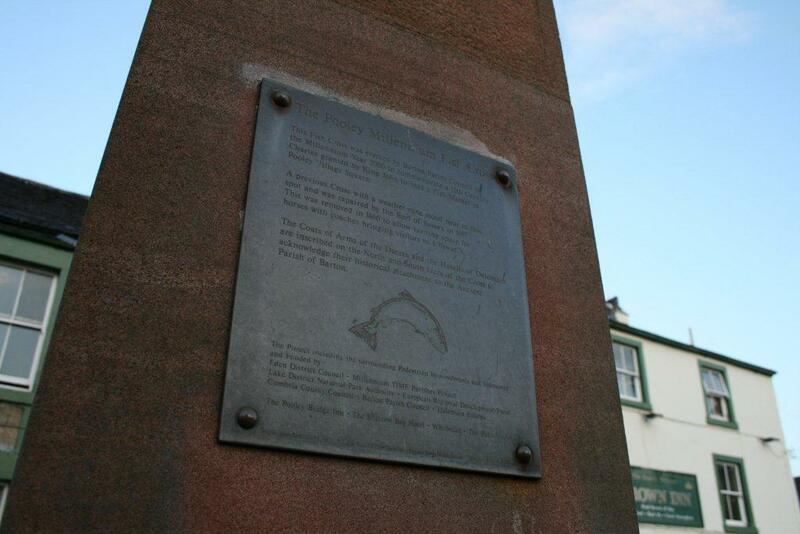 Pooley Bridge was once a busy market town, with fish being the mainstay of the markets produce, prior to nearby Penrith taking precedence in the 19th century. 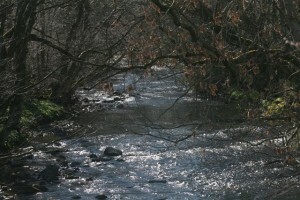 The area still has a supply of Trout, Salmon and freshwater Herring called the Schelly to be found. 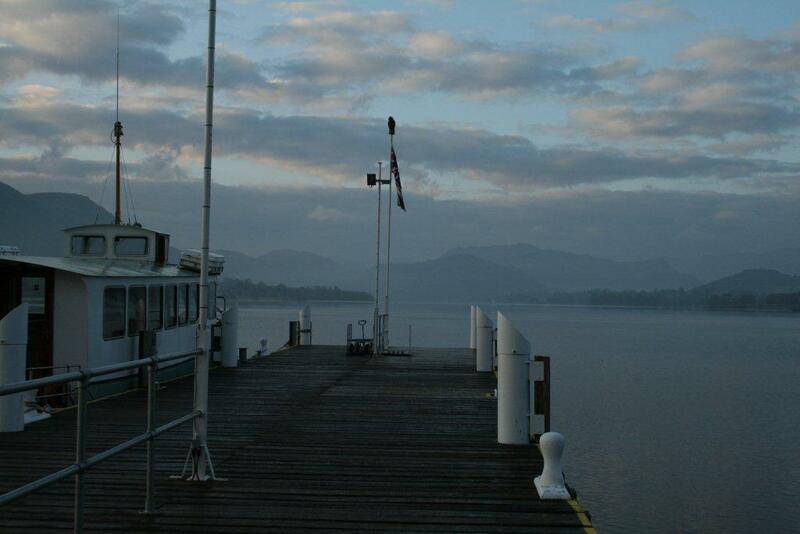 Located just outside of Pooley Bridge is the pier for the Ullswater Steamer which operates a service departing regularly along the 7 mile lake to Howtown and Glenridding at the southern end of the lake with possible walks such as Helvellyn via Striding Edge and Ullswater Lake walks. The timetable for the Steamer does vary depending on the season and is worth checking before planning any trips. From the village, excellent walks can be taken that offer views to match of the lake, whilst a short walk from the pay and display car park situated close to the 16th Century bridge, reveals Dunmallard Hill, an Iron-Age remain. 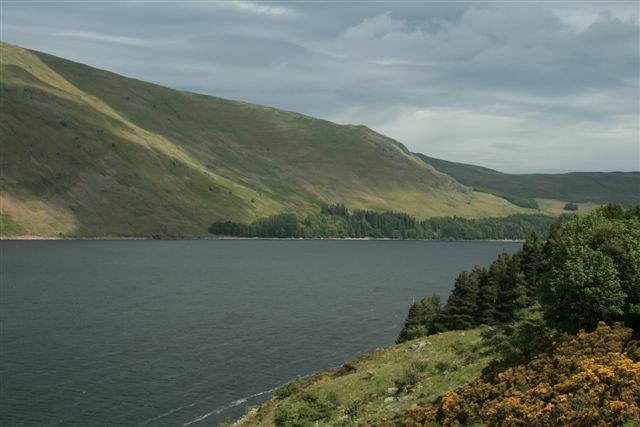 From the vantage point of Dunmallard Hill you are able to look up the lake towards Aira Force. Located within a short drive of Pooley Bridge , along the lake shore road heading towards the village of Glenridding, is the National Trust property, Aira Force Waterfall , one of the most visited of all the Lakeland waterfalls ,especially after rainfall, where sturdy boots are advisable as it can often be wet under foot and slippery. Should you wish to see better quality photographs of Pooley Bridge please visit Pooley Bridge on our Lake District Walks Flickr account. 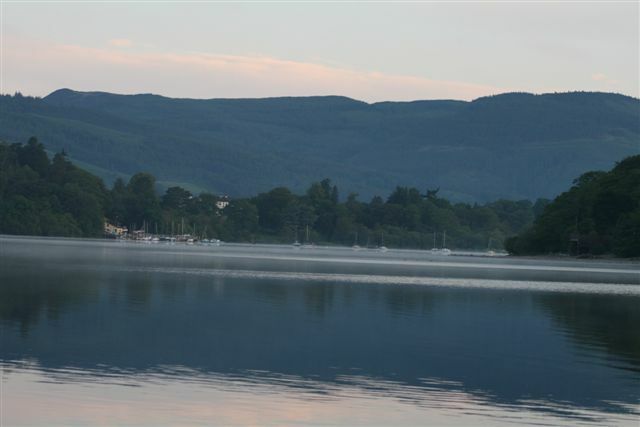 There is an abundance of holiday accommodation within the Pooley Bridge area or a short walk away, with several family campsites, Guest Houses and the 3 welcoming village pubs. 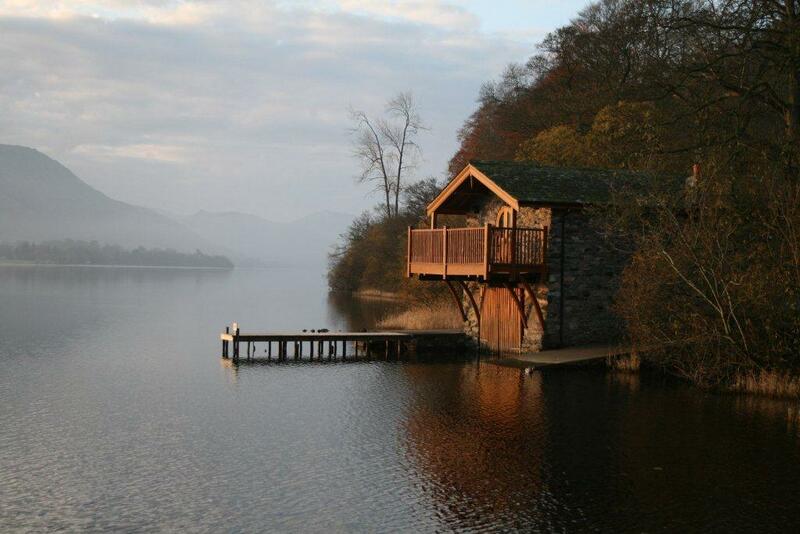 For a pet friendly home search our Lake District Cottages for a local cottage close to Pooley Bridge. 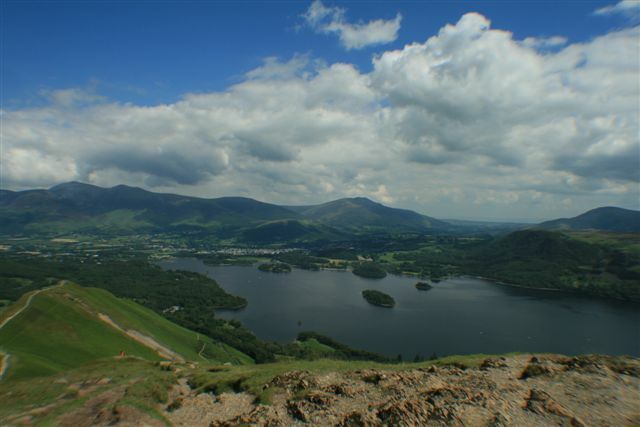 Derwent Water is one of the smaller Lakeland lakes, whilst being set within one of the most beautiful valleys of the Lake District as the lake occupies part of Borrowdale and is immediately south of Keswick. 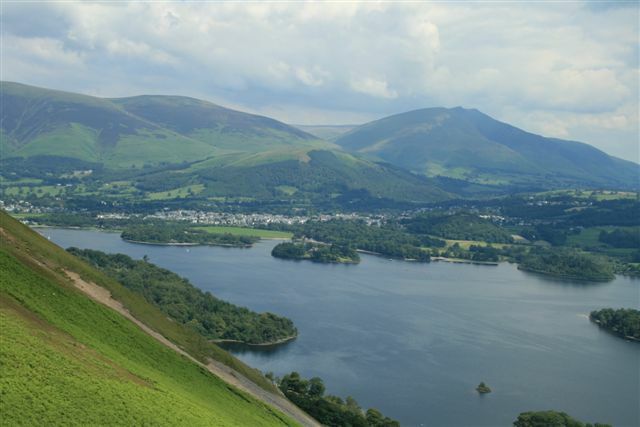 Derwentwater is surrounded by some stunning scenery and the very popular fells and walks such as Skiddaw and Cat Bells walk. Derwent water measures approximately 3 miles (4.8 km) long by 1 mile (2.6 km) wide and is some 72 feet (22 m) deep, with several islands within the lake, one of which is inhabited, and that being Derwent Island House, an 18th century residence, which has a National Trust property and has a tenant, although open to the public on five days each year. 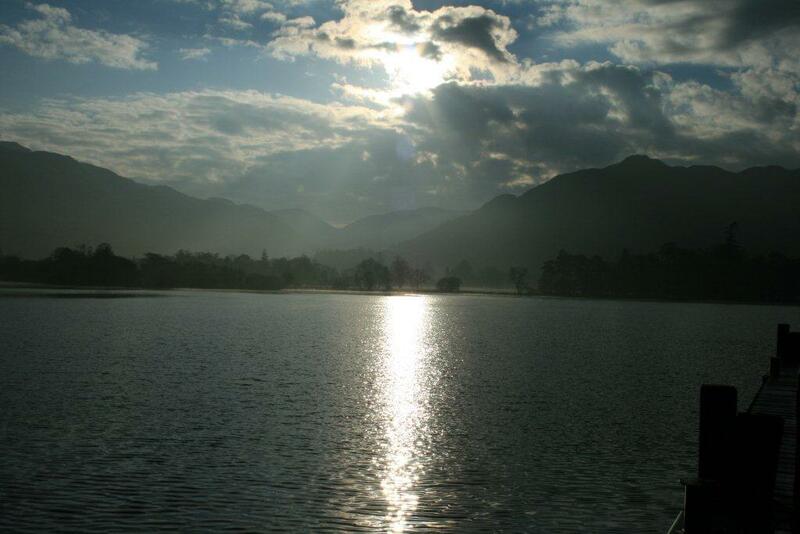 Derwent Water is fed by the river Derwent from the catchment area in the high fells at the head of Borrowdale. The lake is very beautiful to take pictures of with absolute calm in the early mornings and a mirror effect of the fells upon the water, and often times at dawn the fells will be a stunning red colour as the sun rises, with swirls of mist upon the water, although you can find waves splashing against Friar’s Crag when driven by a southerly Gale. Derwent Water has a regular passenger launch operating upon the lake, taking passengers between various landing stages. 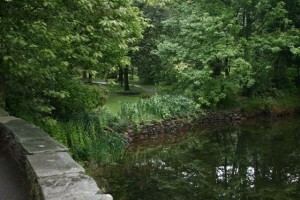 There are seven lakeside marinas, the most popular stops being, Keswick boat landing, Portinscale and the Ladore Falls. Should you stay upon the launch as it makes it way around the lake to enjoy this journey, it will take approximately 50 minutes round trip. There is very little car parking around the Ladore Falls so taking the Derwent Water launch is a great way to see the lake and also incorporate this in to seeing the Ladore Falls, although this is best done after rain for a more stunning scene. The most popular way to enjoy the beauty of Derwent Water, whilst visiting the Keswick area is by walking the shores and footpaths around the lake, or sit upon a bench and watch the toing’s and throwing’s of the launch at the Theatre in the Park jetty and the Lakeside Car Park which is a pay and display, as always. Should you wish to get upon the water under your own steam you can hire rowing boats, and motors boats. 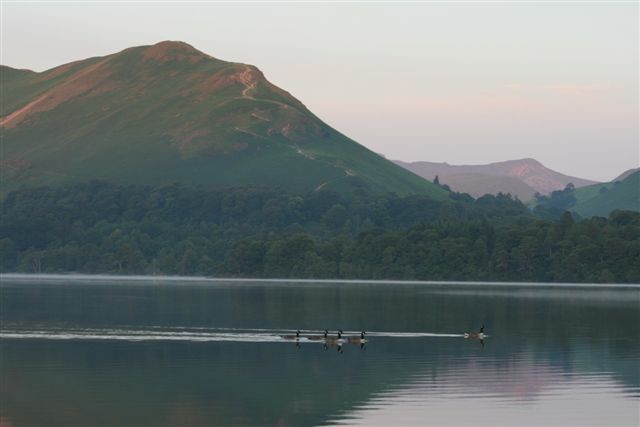 Derwent Water is a peaceful place for the family, whether picnicking, fishing, swimming or simply walking. Should you be looking for a Lakes walk I can personally recommend using the Derwent Water launch, embarking from Lakeside car park jetty and disembarking at Hawes End, to then walk one of the classic Lakeland fell walks of Cat Bells walk which I completed recently as was rewarded with some of these great pictures of Derwent Water. 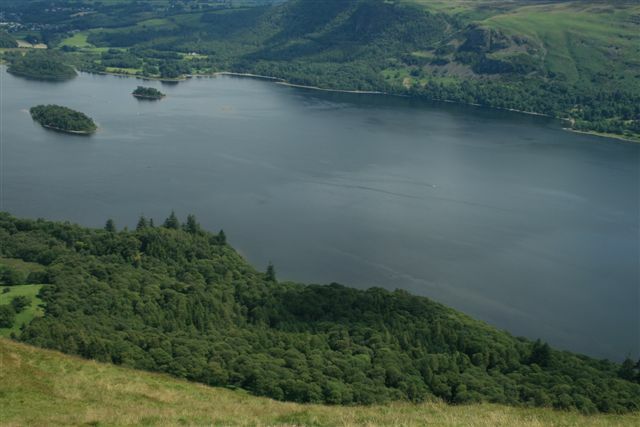 The footpaths around the lake follow the banks through some extremely attractive woodland offering truly spectacular views, which makes Derwent Water on of the most popular Lakeland areas for walkers. Much of the surrounding land is now the property of the National Trust, the lake itself was one of the Trust’s earliest acquisitions. The nearby Scarfell Pike was donated to the trust in memory of the men of Cumbria who gave their lives in the First World War. For accommodation there is the 220 year old Barrow House Lake District Hostel which is an old mansion and ideally situated for a relaxing family or group break. Boasting extensive grounds with a large play area and woodlands, children will find plenty of space in which to enjoy. 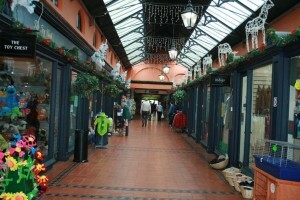 To book a hostel or hotel please look at our hotel and hostels pages. 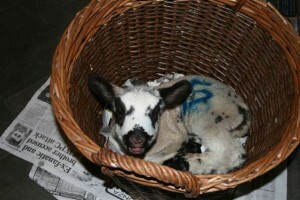 Whilst Keswick offers a multitude of Bed and Breakfast facilities. 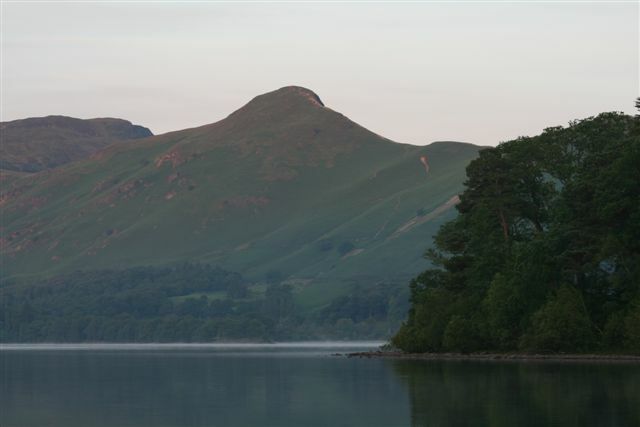 Should you wish to see better quality photographs of Derwent Water please visit Derwent Water on our Lake District Walks Flickr account. 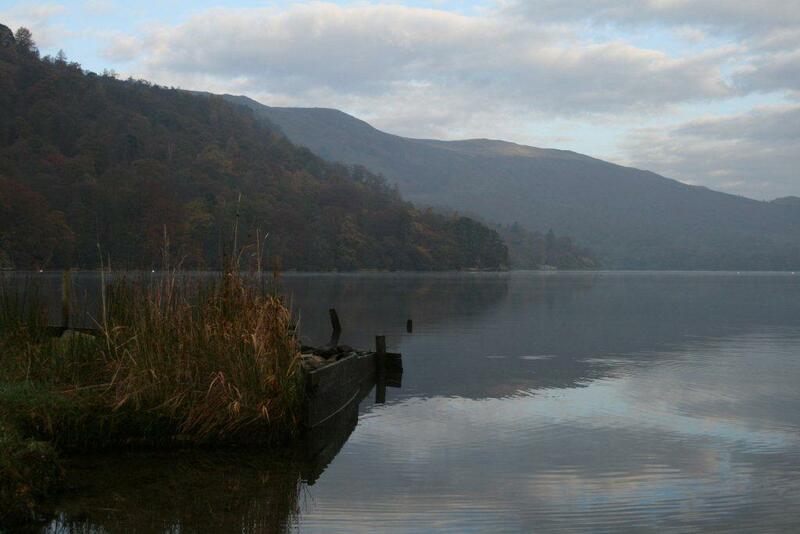 Please feel free to comment on this Derwent Water, share or even hit the Face Book like button. 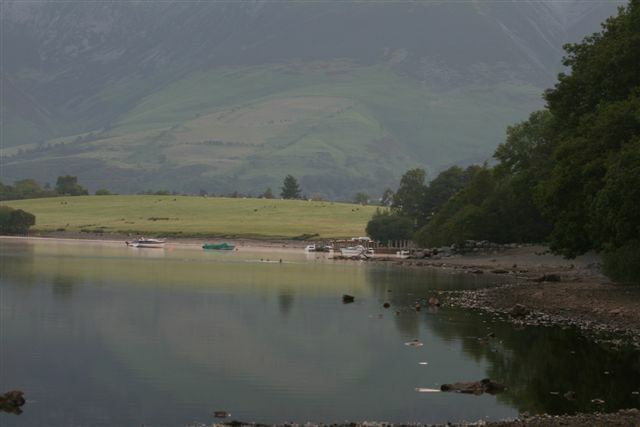 There is an abundance of holiday accommodation within the Derwent Water and Keswick area with Campsites near Castlerigg Stone Circle, Keswick Guest Houses and local pubs. For a pet friendly home search our Lake District Cottages for a local cottage close to Penrith and the Eden Valley. 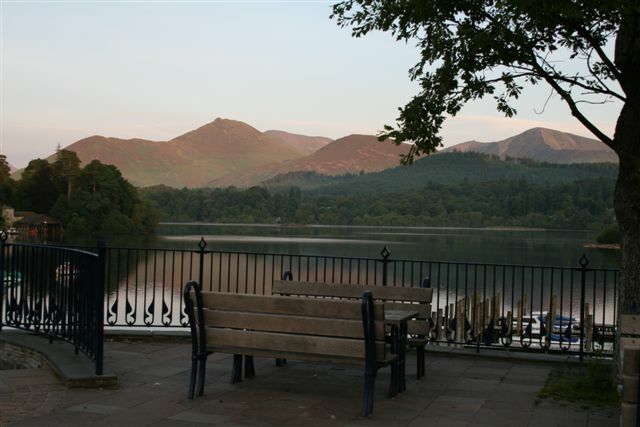 Whatever time of year you visit Keswick and Derwent Water you will find a friendly place to stay. 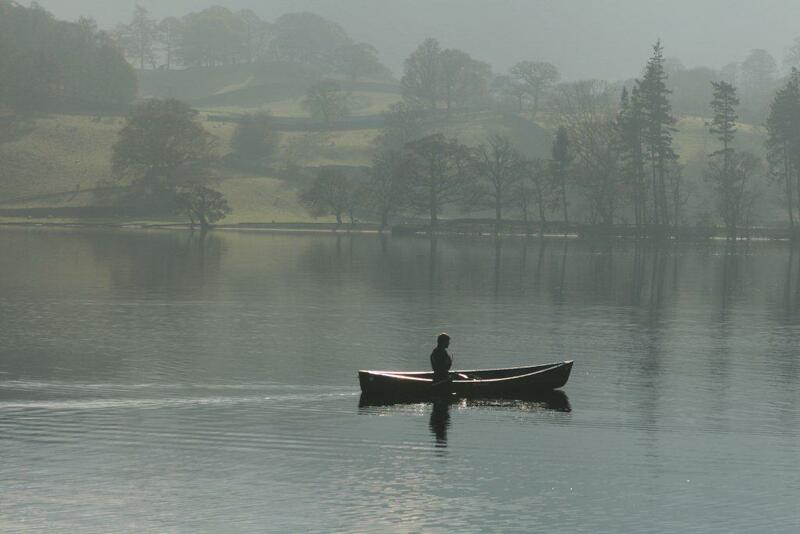 I trust you enjoyed my article on Derwent Water. Coniston Water and the village of Coniston where once a hub of our industrial past, whilst today it is one of the most visited of all the Lakeland destinations, offering great walks to the world renowned Old Man Of Coniston as it rises dramatically to a height of 2,635 feet behind the village. With the village delightfully set between the mountain and the lake. 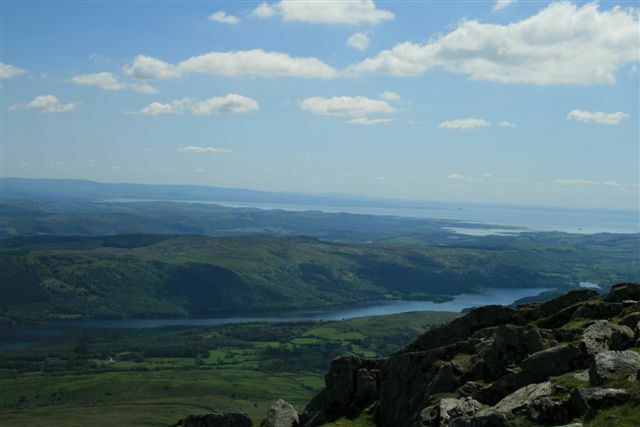 Should you consider climbing the local fells of Coniston, weather permitting you will be rewarded with some fantastic views and on a clear day you can see Morecambe Bay and the largest expanse of intertidal mudflats and sand in the United Kingdom. 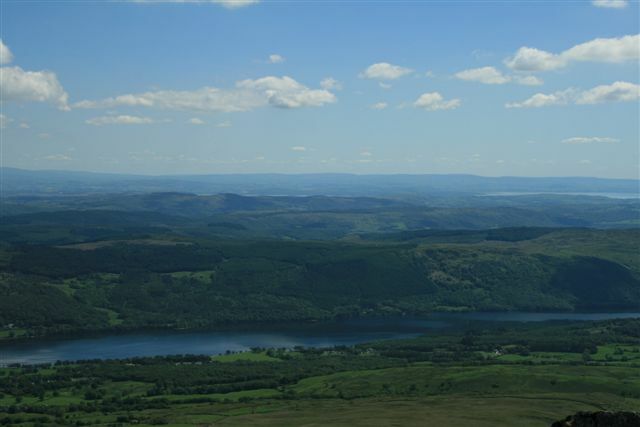 That being said Coniston Water is the third largest lake within the Lake District being 5 miles long, half a mile wide and with a depth of 184 feet. The Romans mined copper from the fells above Coniston and this industrial activity continued in medieval times. 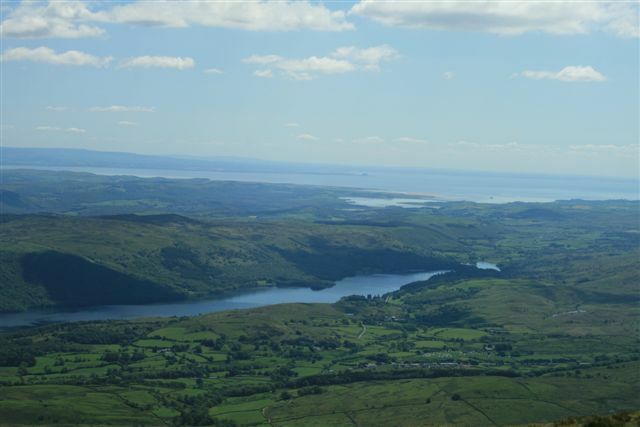 In the 13th and 14th centuries Coniston Water was an important source of fish for the monks of Furness Abbey who owned the lake and much of the surrounding land with copper mining continuing in the area until the 19th century. One of the most famous local inhabitants was the Victorian artist and philosopher John Ruskin who owned Brantwood House, which is situated on the eastern shores of Coniston Water, and he lived in it from 1872 until his death in 1900. 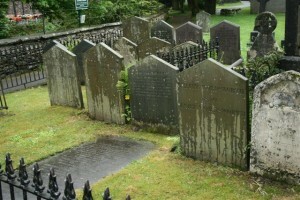 Ruskin is buried in the churchyard within the village of Coniston. 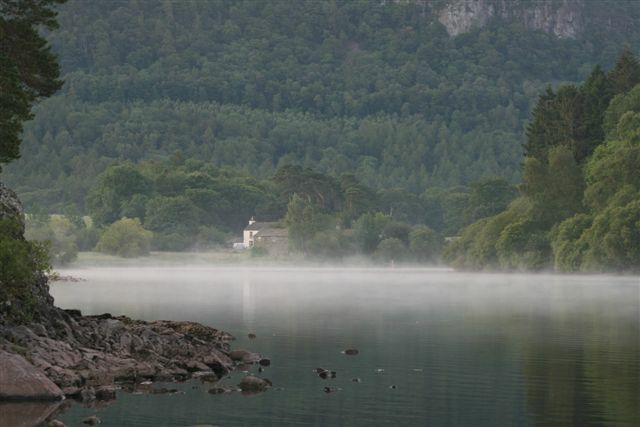 Arthur Ransome set his children’s novel ‘Swallows and Amazons’ and some of its sequels on a fictional lake, although drew much of his inspiration from Coniston Water. 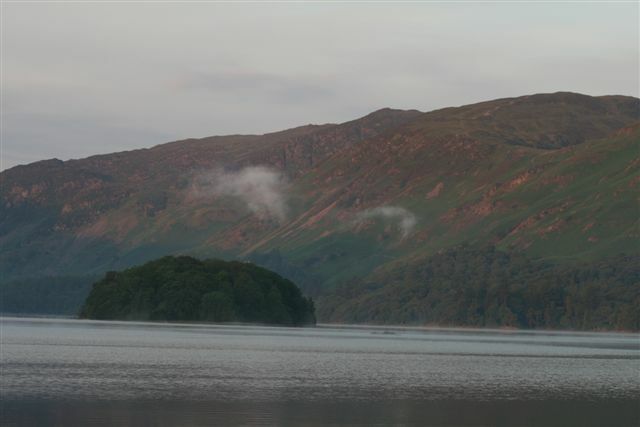 Some of Coniston Water’s islands and other local landmarks can be identified in the novel. In particular, Peel Island is the Wild Cat Island of the book including the secret harbour. For a lot of people the association of the water speed world record attempts with Coniston Water being the scene of many of these attempts to break the world record of Sir Malcolm Campbell originally set in 1939 at a speed of 141.74 miles per hour in Bluebird K4. Between 1956 and 1959 Sir Malcolm Campbell’s son Donald Campbell set four successive records on Coniston Lake in Bluebird K7, a hydroplane. In 1966 Donald Campbell decided that he needed to exceed 300 miles per hour in order to retain the record. On January 4th, 1967 he achieved a top speed of over 320 miles per hour in Bluebird K7 on the return leg of a record-breaking attempt. He then lost control of Bluebird, which somersaulted and crashed, sinking rapidly. Donald Campbell was killed instantly on impact. The record-breaking attempt could not be counted as a run because the second leg was not completed. The remains of Bluebird were recovered from the lake in 2001 and Campbell’s body was recovered later in the same year. A replica of Bluebird can be seen at the Lakeland Motor museum, at Holker Hall. 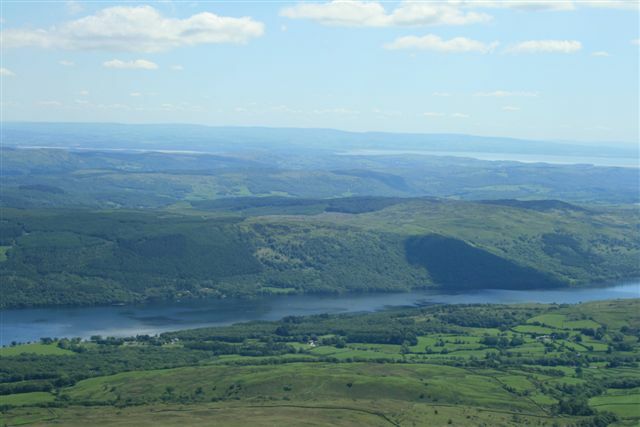 There are two public launch services on Coniston Water with the Coniston Launch offering special lake cruises of ‘Swallows and Amazons’ and ‘Campbell’s on Coniston’ for those wishing to explore the lake and its history. The National Trust’s steam yacht Gondola along with the Coniston Launch both call at Brantwood. Boats can be hired from the lakeside near the steam yacht, with various sizes of boat for hire. The Monk Coniston Estate, Beatrix Potter purchased originally belonging to the monks of Furness Abbey in 1930. She immediately sold half to the National Trust and upon her death the remainder was given to the National Trust. 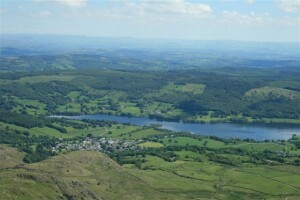 The estate stretches from Coniston to Skelwith Bridge. It includes the famous Tarn Hows. The attraction being its sheer beauty, surrounded by thick woodland, and views towards Wetherlam, the Helvellyn range and the Langdale Pikes. There is a 1.5 mile path at Tarn Hows that is level and well maintained and thus suitable for wheelchairs. Should you wish to see better quality photographs of Coniston Water please visit Coniston Water on our Lake District Walks Flickr account. 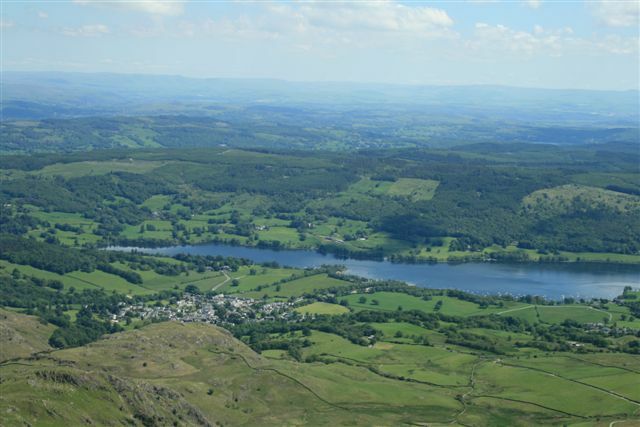 There is an abundance of holiday accommodation near Coniston Water and the surrounding area of the lake, with Campsites, Guest Houses and local pubs. 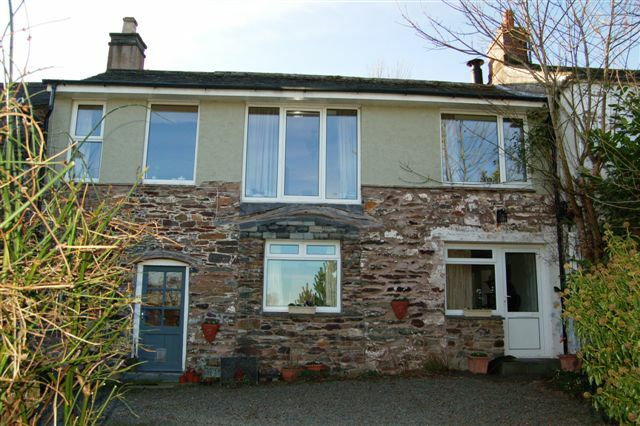 For a pet friendly home search our Lake District Cottages for a local cottage close to Coniston Water. 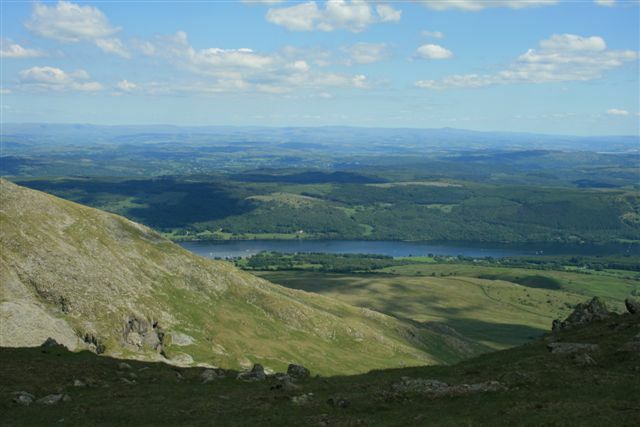 I trust you enjoyed this article on Coniston Water and found it helpful. Set within the heart of the Lake District, Grasmere is a very popular Lakeland village, whilst famous for being home to one of England’s best known romantic poet William Wordsworth, who described Grasmere as “the loveliest spot that man hath ever found”. Today Grasmere is totally given over to the tourist industry, whilst probably Cumbria’s most popular village, with plenty of gift shops, places to eat and stay. Wordsworth lived at Dove Cottage from 1799 to 1808 with his sister Dorothy. Her journals record their life together in Grasmere. Dove Cottage and gardens are open to the public and there is also an award winning museum with one of the greatest collections of manuscripts, books and paintings relating to British Romanticism. In nearby Rydal you can visit Wordsworth’s later home, the beautiful Rydal Mount and Gardens, where he lived for 37 years. The main event in Grasmere is the village sports days which takes place in August and was first held in 1852. This is the premier event in the village calendar, whilst being one of the most popular traditional events in the Lake District. Participants compete in a variety of sports, including Cumberland Wrestling, Fell Running and Hound Trails. Most of the buildings in and around Grasmere date from the 19th or early 20th Century, though the farms around Grasmere are much older. The Grasmere church of St Oswald’s dates from the 13th Century, and named after St Oswald, a 7th Century Christian King of Northumberland. It is the parish church of Grasmere, Rydal and Langdale, whilst each township has its own separate gate into the churchyard. In 1850 William Wordsworth died while out walking, having a simple tombstone in the churchyard, now one of the most visited literary shrines in the world. 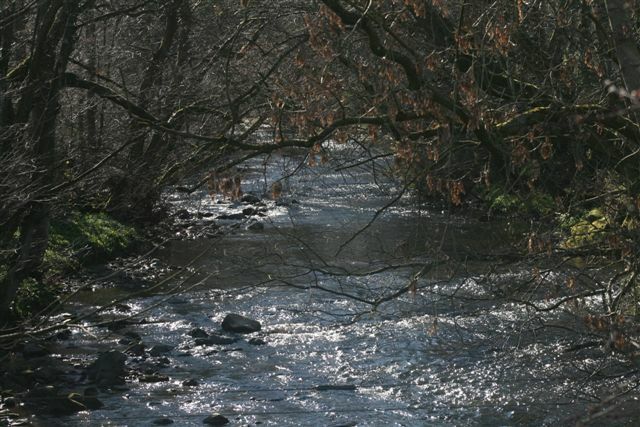 The church stands on the bank of the River Rothay, which is a popular novice’s river for canoeing, being grade 2 and approximately 6 kms and meandering through Wordsworth territory. From the village of Grasmere it is only a short walk to the lake, which can be superb early on a summer’s morning, with the mist still hovering upon the water. Rowing boats are available for hire seven days a week between March and early November. 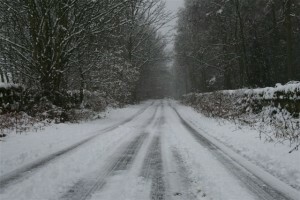 There is a walk around the lake, although part of it is on the main A591 road which runs along the east side of the lake. A number of very popular walks begin near the centre of Grasmere village, including the ascent of Helm Crag and a longer route up to Fairfield. The village is also on the route of Alfred Wainwright’s Coast To Coast Walk. 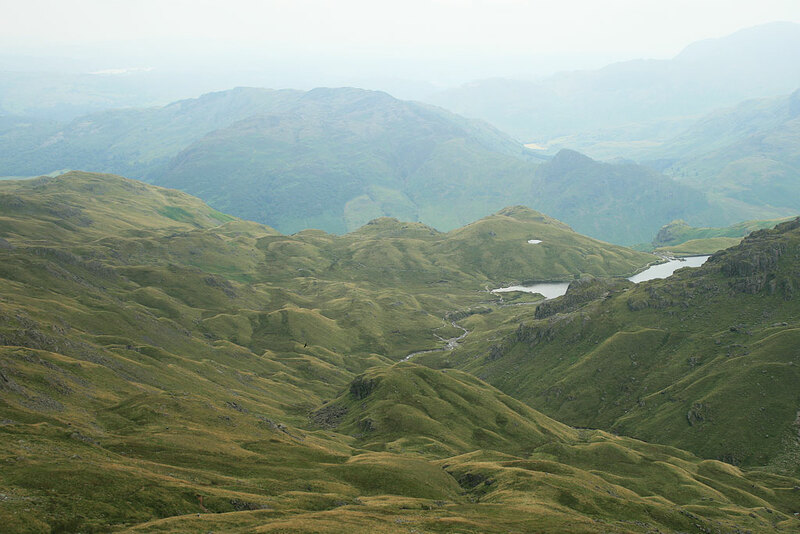 Easdale Tarn walks, Grasmere is a very popular walk for beginner fell walkers, with a great feel of being in the mountains, although the route from Far Easdale is a walk best reserved for spring, autumn or summer due to the boggy ground. This walk is approximately 4 miles. 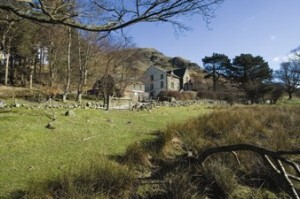 Great How, near Grasmere is another popular short walk of only 2 miles in length. Should you wish to see better quality photographs of Grasmere village, please visit Grasmere on our Lake District Walks Flickr account. 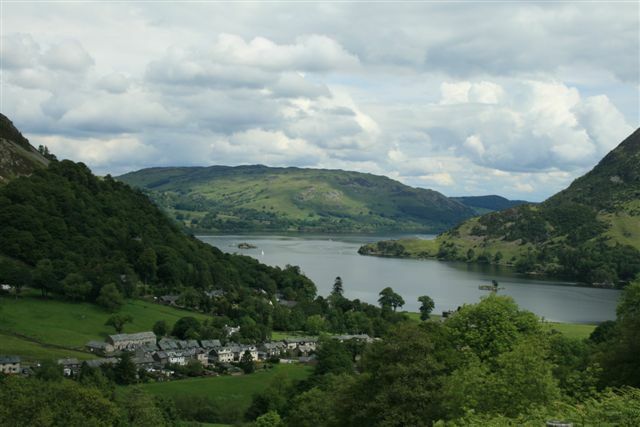 There is an abundance of holiday accommodation within Grasmere village and the surrounding area, with Campsites, Guest Houses and local pubs. For a pet friendly home search our Lake District Cottages for a local cottage close to the village centre that was once home to William Wordsworth. 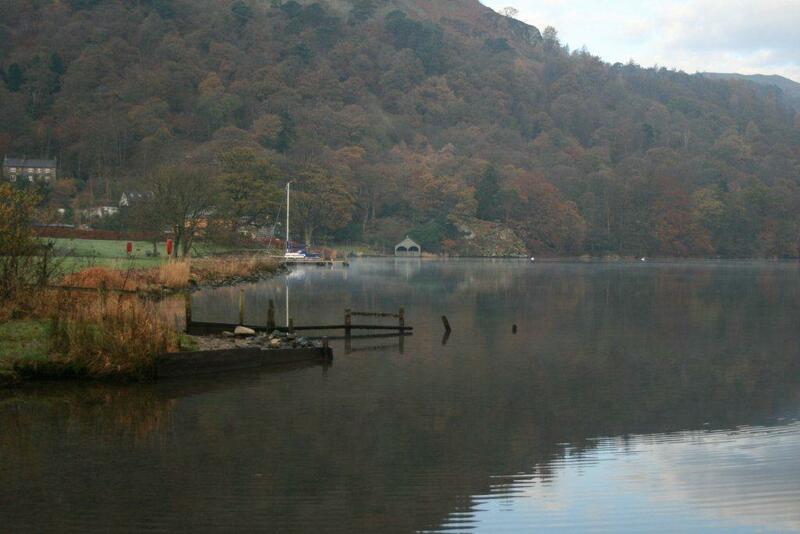 Whatever time of year you visit Grasmere you will find one of the best Lakeland villages. For those who have never visited ‘The Lake District’ of England, and no matter where you live in the world I will in this article try to give you my insight into the beauty and splendour which makes the Lake District so popular with visitors from around the world, with a liberal sprinkling of facts. The Lake District National Park is the largest of England’s National Parks and includes Scafell Pike, which is the highest mountain in England, with Wastwater being the deepest lake, whilst Windermere is England’s largest lake. The Lake District is also known as The Lakes or Lakeland and is situated in the North West of England. The Lakes are a popular holiday destination, for short breaks, outdoor activity holidays and walking holidays. The Lake District is famous for its lakes, mountains and fells, and its association with the 19th century poetry and writings of William Wordsworth, Beatrix Potter and the Lake Poets. The Lake District was designated as a National Park in 1951, whilst also being the largest of thirteen National Parks in England and Wales, and the second largest in the UK after the Cairngorms of Scotland. 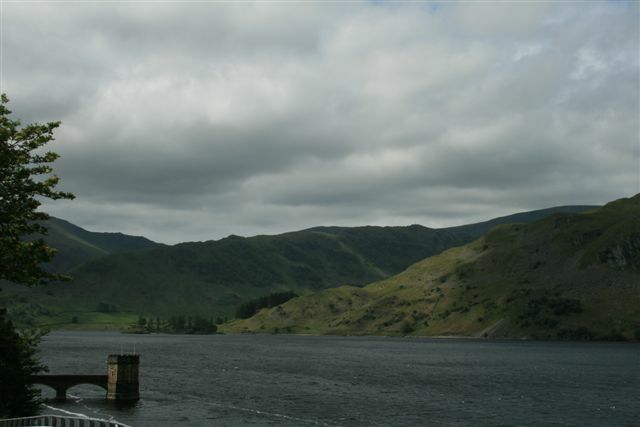 All the land in England higher than three thousand feet above sea level lies within the Lake District National Park, including such peaks as Scarfell Pike (3,209), Scarfell (3,163) and Helvellyn (3,117). 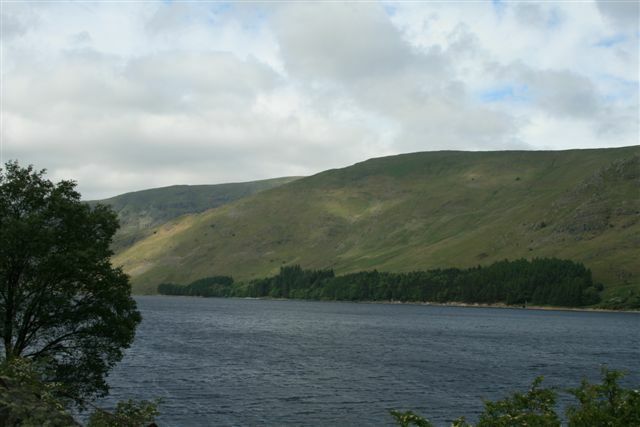 The Lake District is one of the most highly populated National Parks. Its total area being 885 square miles, and is considered one of the most scenic regions and England’s premier destination for hiking, climbing, outdoor activities and walking. The northern gate way to the Lake District is Penrith, with Bowness on Windermere at the middle. The Lake District Mountains and hills are known locally as Fells. 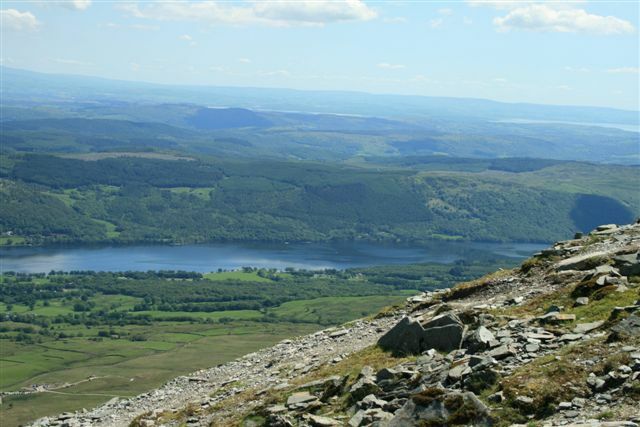 The Lakeland Fells are England’s only true mountain range and though not high by world standards they nevertheless offer a huge number and array of challenging and rewarding hill walks. 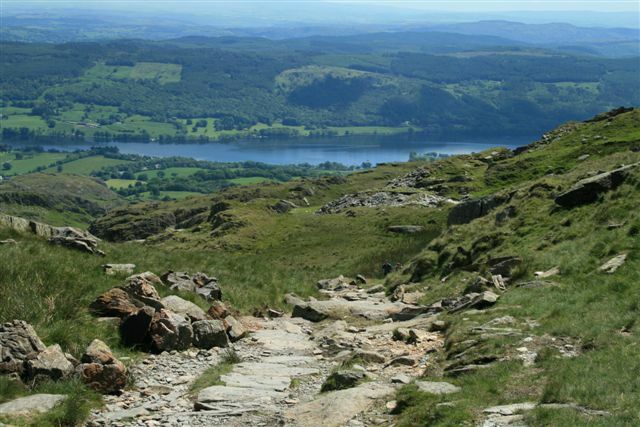 All can be walked without ropes and the like, and due to the long tradition of recreational walking in the Lakes there is a great network of paths and routes you may embark upon. Additionally worth a mention is the free access to virtually all areas above the “intake wall” (ie the last wall as you climb out of the valley). According to the most respected authority (guidebook author Alfred Wainright) there are 214 fells, which will suitably test all levels of walker, most of which offer a number of routes, plus many opportunities to ridge walk between the fells. The highest fell as previously stated is Scarfell Pike, although this tag of “highest” designation leads to a lot of traffic, and visitors who want to experience a high Lake District fell may want to choose another. Some of the slightly smaller fells can be a lot more rewarding to walk, whilst offering better views such as, Great Gable and Helvellyn being popular choices. Less well known hills include Grisedale Pike, Bowfell and one of my favourites being Blencathra (sharp edge). Getting around the Lake District is easy with and served by multiple bus routes, with many being operated by Stagecoach. 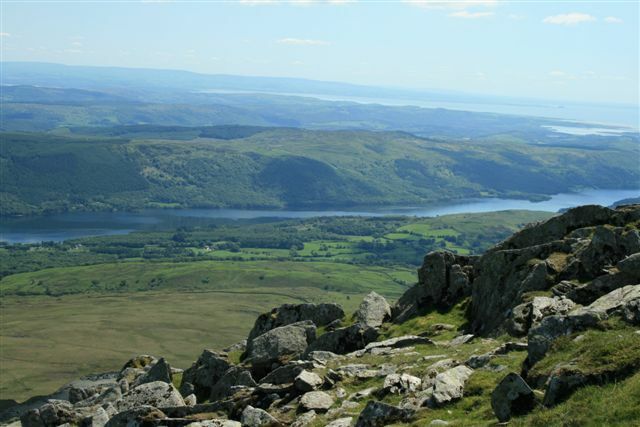 Budget travellers can book a day tour to get to see the best of the Lake District in a day, with Mountain Goat being one of the popular tour operators in the area. 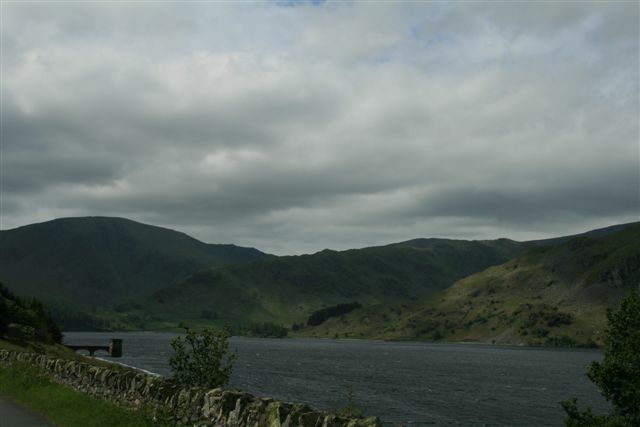 There is some great value Lake District Hostels throughout the area providing simple no frills accommodation. The National Trust is one of the largest land owners within the Lake District protecting a quarter of the National Park and approximately 90,000 acres, whilst offering some unique National Trust cottages for holiday lets. If you are looking for holiday accommodation there is a large selection of self-catering idyllic country cottages available for your holiday although book in advance as the popular one’s go quickly. Bed and breakfast is one of the more popular types of accommodation in the area, and a great way to meet local people, on farms, villages and in the towns depending on your requirements. Eating and drinking in the Lake District seems to go hand in hand with traditional Lakeland pubs being more prevalent than restaurants in the region, whilst most of them serve traditional English food. With so much sheep farming in the area of the Lake District, roast lamb is a favourite local dish. Cumberland sausage is a speciality throughout Cumbria, and locally caught Borrowdale trout is a popular. Not for getting the great opportunity to sample many local types of real ale in a traditional English pub after a long day walking in the fells of the Lake District. The mountains and fells of the Lake District are by no means the most extreme mountains in world, although as with any outdoor adventure can still present a serious threat to your safety whilst walking, and underestimating them can be fatal, be safe and as my grandmother said use your common sense and enjoy. 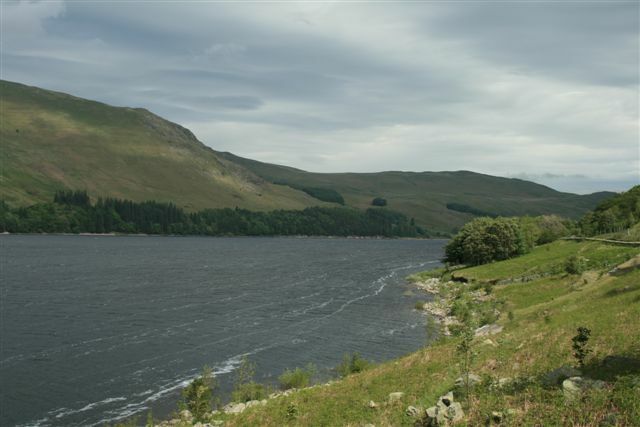 There is an abundance of holiday accommodation within Cumbria, the Lake District National Park and the Eden Valley, with Campsites, Guest Houses and local pubs. For a pet friendly home search our Lake District Cottages for a local cottage close to your desired Lakeland destination. Making your visit to the Lake District something special. The awesome landscape of the mountains, fells and lakes of the Lake District offers outdoor activities for all, which will keep active people occupied for days. 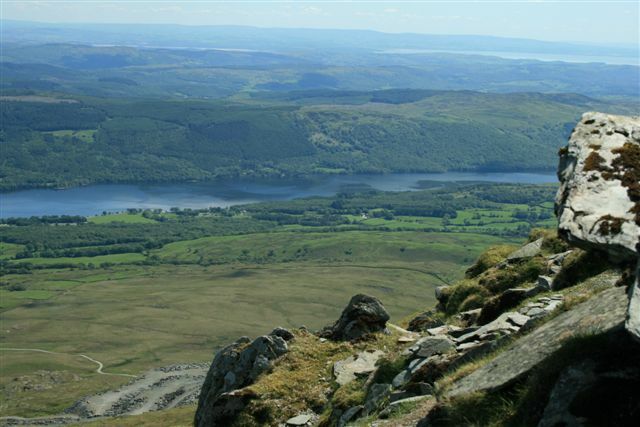 You can experience extreme sports such as ghyll scrambling or simply explore on foot or bike. If you should wish to take it easy there are lots of charming villages and towns such as Keswick, which you can spend days exploring, or shopping, enjoying the local tea rooms and a snack. With the alternative way to holiday using Lake District Hostels and Barns can make for an ideal holiday for visitors and groups willing to make the most of the great outdoors, although do not fancy the idea of staying outdoors and braving the elements. Whether travelling in a group, as a family or as a couple, staying in Lake District hostels will be a great experience you will not forget. This can also help to save on your accommodation costs, whilst at the same time allowing you more spending power to enjoy the atmosphere of the countryside. If you are wondering what a camping barn is, I will explain, as these are generally old stone barns or farm buildings, sometimes referred to as ‘stone tents’. 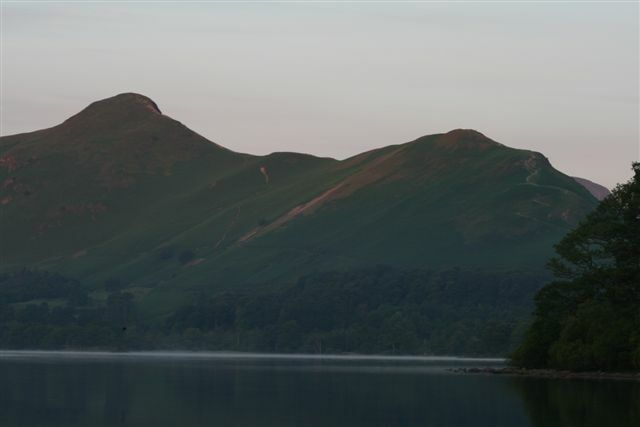 There are over a dozen in the Lake District sleeping from 8 – 18 people. You have a choice of buying a bed from £6 per night or hire the whole barn, which can be great especially for groups. Facilities differ greatly between barns, although all have cold running water, flushing toilets, sleeping area, somewhere to cook. Some of the barns in Cumbria and the Lake District have log fires, hot water, showers, whilst sleeping areas are communal with some barns providing mattresses, although you will need a sleeping bag. These are a great alternative to the traditional concept of Lake District hostels. It does not matter if you are looking for a town centre Lake District hostels such as the Keswick hostel, something a little more rural, or searching for the tranquillity of a picturesque lakeside retreat, there is a hostel to meet your requirements. Lake District hostels are a very popular destination for groups of intrepid visitors and walkers, ready to tackle some of the most challenging of the Lakeland walks. Hostels offer great value for money and are the perfect base after a hard days hiking on the fells, offering a homely and relaxing atmosphere to unwind after a day outdoors, whilst allowing for clothes and boots to dry if the weather turns wet as often does in the Lake District. A number of Lake District Hostels offer great homemade cooked food, which is great after a full on outdoor activity day, being great value and at a good price. Lake District Hostels are also well furnished with fantastic communal areas ideal for groups and families and with an ever growing list of amenities to enjoy whilst you regale the day’s events and enjoyed activities before heading of the bed for an early start the following day. 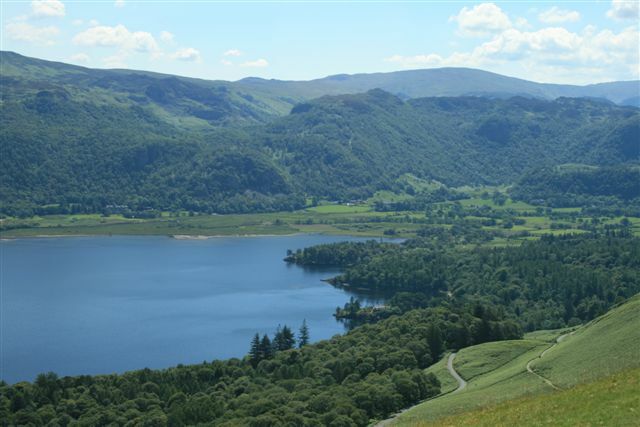 Collectively Lake District Hostels have everything you may need, offering great value for money, excellent facilities and services, individually they capture the variety and beauty that is typically Lakeland. Lake District Hostels, Black Sail Hostel. 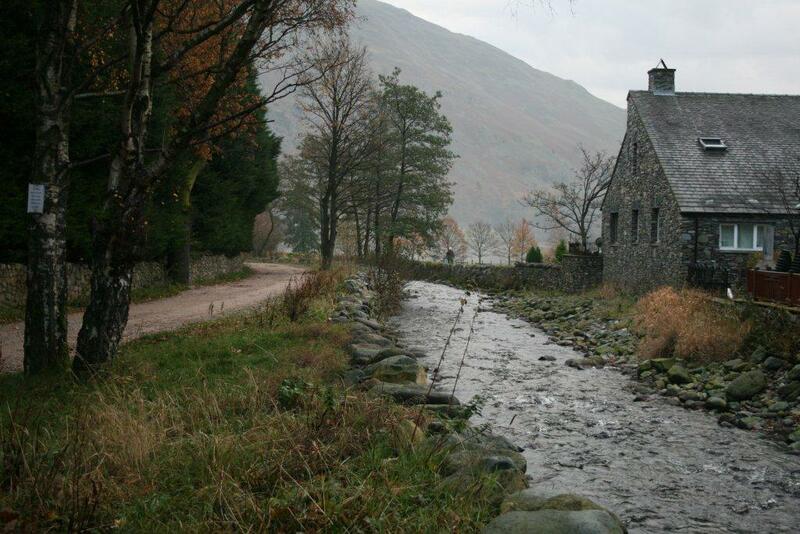 Black Sail is an isolated Lake District Hostels once a Shepard’s bothy situated at the head of Ennerdale, on the ‘Coast to Coast Walk’, whilst being something of a Youth Hostel legend. The Hostel is only accessible by foot enabling walkers to take advantage of the Lake District beauty without the crowds and cars. Meals are available, whilst there is a self-catering kitchen. This location provides great access to the surrounding fells, Great Gable, Pillar, Red Pike and Steeple to name but a few. Set in a quiet and tranquil part of the Lake District with walks right from the front door which is great for families and walkers alike. Walks for all levels of experience start from the doorstep, Haystacks is just one of the famous fells easily reached from Buttermere. Afterwards it is possible to unwind in the lounge with views of Red Pike and High Stile then enjoy a fantastic meal in the restaurant along with local ales and wines. For something special Red Squirrels and Woodpeckers can be seen in within the grounds of this Lake District Hostels. 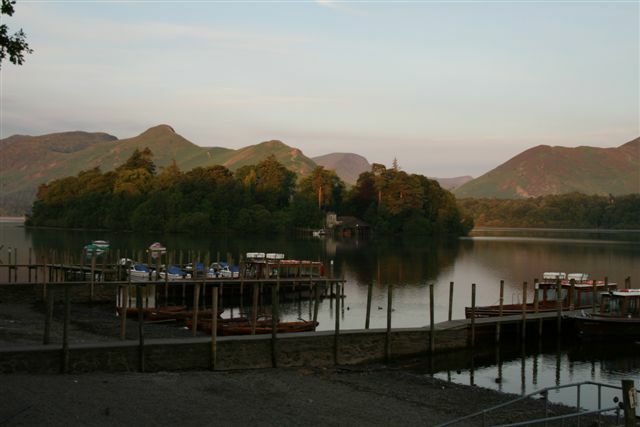 Lake District hostels are a great way of enjoying the beauty and splendour of the lakes on and saving money.